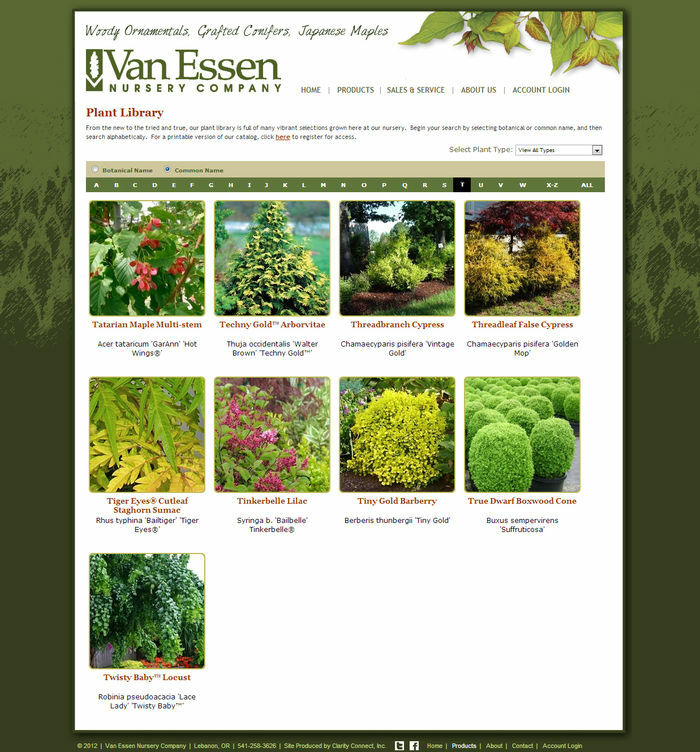 We met the good folks at Van Essen at the Farwest Show in August '09. They decided to get started on their new website with Clarity in March '10 and we launched the site for them on June 10, 2010. 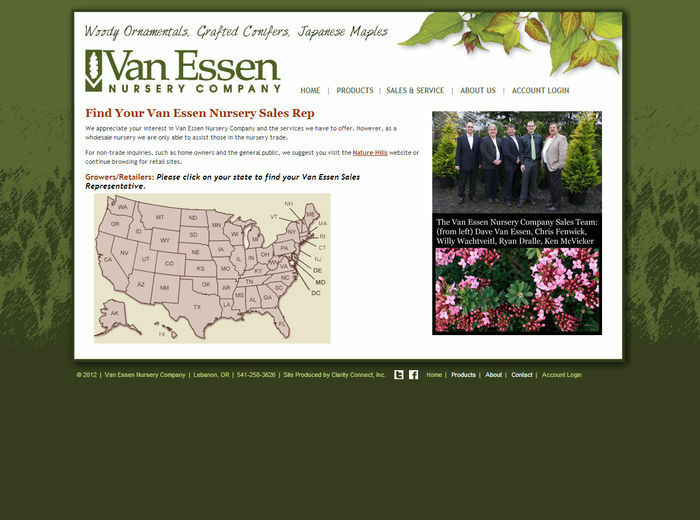 Van Essen Nursery Company was started in 1976 by David Van Essen. He began the nursery with 10 acres along the South Santiam River near Lebanon, Oregon. While the nursery has grown to over 300 acres, their mission has not changed. They are as committed now as they were 30 years ago to consistently provide quality nursery stock, competitively priced with personalized and detailed customer service. As they know many of their customers now rely on the internet for information and availability, they contracted us to redesign their website and implement the Clarity Console website content management tools to make it easy for non-technical staff to easily update their website. Check out their new website so you can see how the new site helps portray them as the professional nursery they are.